Both the 70-gene signature and the 21-gene assay are novel prognostic tests used to guide adjuvant chemotherapy decisions in patients with early breast cancer. Although the results of ongoing prospective trials will only become available in some years, the tests have already been included in clinical guidelines such as St. Gallen’s. In literature, the cost-effectiveness (CE) of both tests as compared to conventional prognostic tests has been described. We report on a direct comparison of CE; as different compliance rates were reported, we also taken these into account. 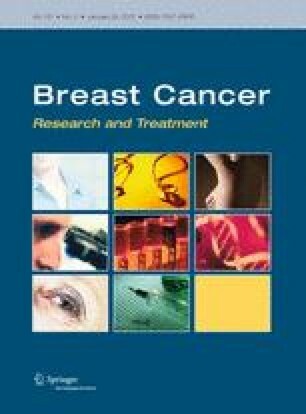 A Markov decision model with a time horizon of 20 years was developed to assess the effects, costs and CE of three alternatives; 21-gene, 70-gene, and St. Gallen (SG) or Adjuvant Online (AO), dependent on the dataset used in patients with early, node-negative, breast cancer. Sensitivity and specificity were based on two datasets, incorporating compliances rates based on literature. For both datasets, whereas the 70-gene signature yielded more quality adjusted life years (QALYs) and was less costly; the 21-gene amounted more life years (LYs) but was more costly. The decision uncertainty surrounding the probability of CE of the Thomassen-series amounted 55% for both cost/LY and cost/QALY, for the Fan-series 80% for LY and 65% for QALYs. Taking reported compliance with discordant test results into account, in general, the effect of all strategies decreased, while the costs increased, without relatively influencing the CEA performance. This comparison indicates that the performances of the 70-gene and the 21-gene based on reported studies are close. The 21-gene has the highest probability of being cost-effective when focusing on cost/LY, while focusing on cost/QALY, the 70-gene signature was most cost-effective. The level of compliance can have serious impact on the CE. With additional data, preferably from head-to-head outcome studies and especially on compliance concerning discordant test results, calculations can be made with higher degrees of certainty. The online version of this article (doi: 10.1007/s10549-011-1769-7) contains supplementary material, which is available to authorized users. We would like to thank Prof. Dr. EJT Rutgers and Dr. SC Linn for their contribution to this manuscript. This study was funded by the Dutch Health Care Insurance Board (DHCIB, CVZ), the Netherlands. The DHCIB had no role in the study design and the collection, analysis, and interpretation of data and the writing of the article and the decision to submit it for publication. W.H. van Harten is a non-remunerated, non-stake holding member of the supervisory board of Agendia BV. All other authors declared no conflicts of interest.